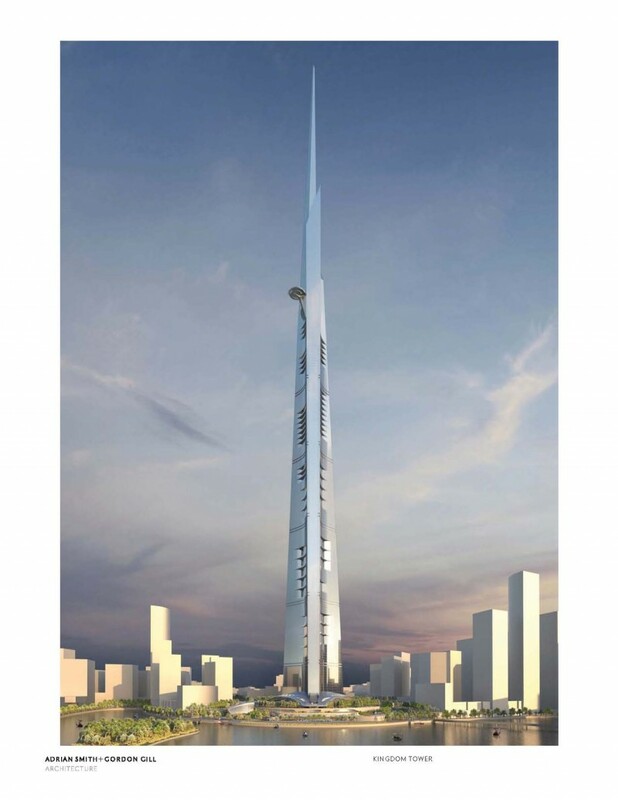 Kingdom Tower, exceeding the tallest building in the world, "Burj Khalifa" (by over 550 feet) in the United Arab Emirates, is being built in Saudi Arabia and will be the first building on the planet, whose height is nearing a kilometer in height. In the project for $ 1.2 billion, which is located in Jeddah, will house luxury condominiums, office spaces, an observatory, the Four Seasons Hotel and the world's highest terrace on the 157th floor (still quite far from the top of the building). Erection of a skyscraper officially started last year, and the building is due to be completed in 2019.